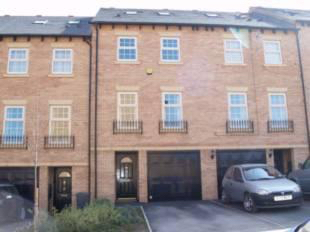 Located on this modern development at the head of a cul-de-sac this four bedroom end-townhouse deserves an early viewing in order to appreciate the size and standard of accommodation set over four floors. 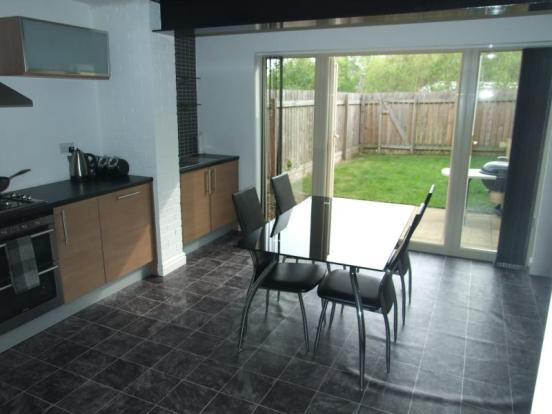 Well located for road access to Barnsley town centre, the property will be of interest to family buyers and has open views to the rear. Entrance hallway, downstairs w.c., dining kitchen with modern Shaker style units, first floor lounge with modern fireplace, bedroom four/study and family bathroom. 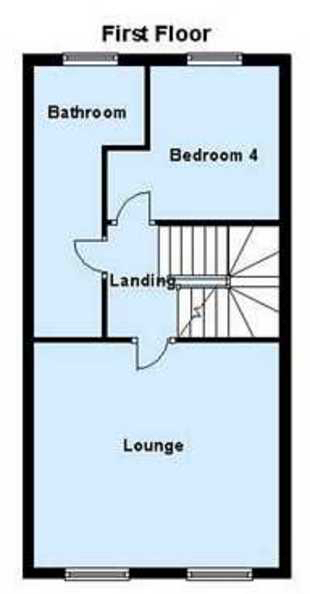 To the second floor is the master bedroom with en-suite shower room, bedroom three and the second bedroom to the third floor with en-suite shower room. Outside to the front is a drive leading to an integral garage and to the rear is a private garden. 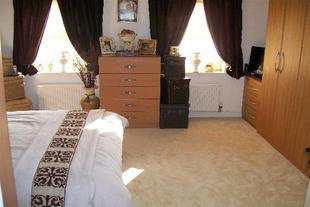 Constructed in early 2006, this superb end town house has open views, and provides generously proportioned accommodation throughout, being set out on 4 floors. This generously proportioned reception area provides a double fronted built-in cloaks storage cupboard whilst there is also secure internal access to the garage. 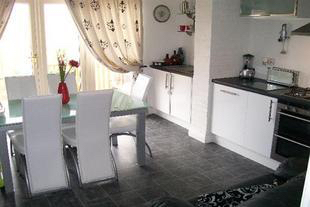 13' 10" x 14' 9" (4.22m x 4.50m) - Providing an extensive range of units comprising of an inset stainless steel sink unit having cupboard under, there are further base and wall mounted units and a good expanse of worktop surfaces having ceramic tiling to the sink surround. Double panel radiator, uPVC double glazed French doors to the rear elevation and integrated appliances including double oven, 4 ring gas hob, extractor unit, dishwasher, fridge and freezer. 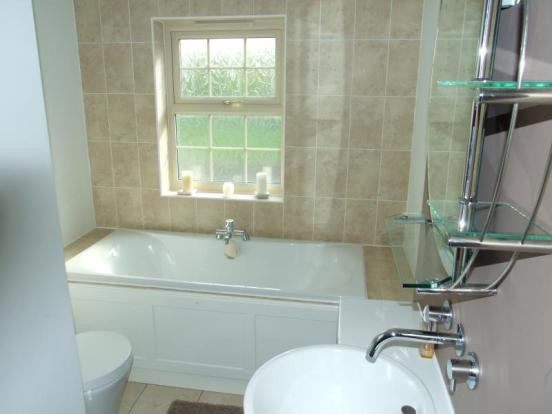 Being fitted with a white suite comprising of a pedestal wash hand basin and low flush WC. 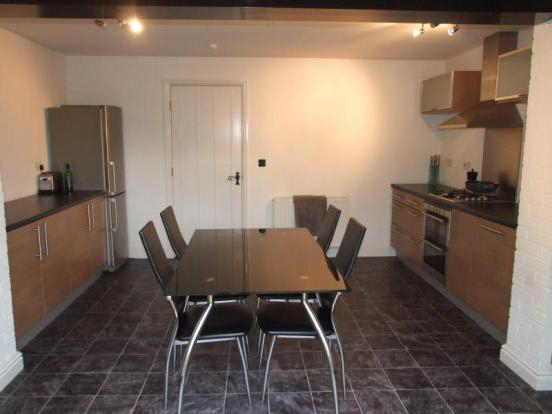 There is also a radiator and an extractor fan. 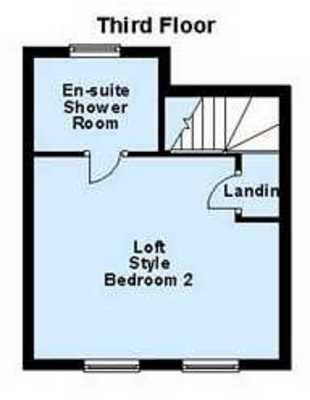 With single panel radiator and in turn leading to the following first floor accommodation. 14' 8" x 13' 11" (4.47m x 4.24m) - This well proportioned principal reception room has 2 windows to the front elevation. There is also a TV aerial point, telephone point and 2 double panel radiators. 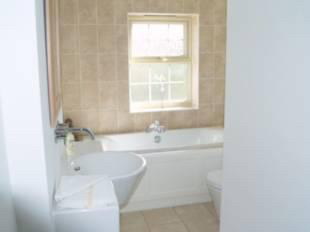 Providing a 4 piece white suite comprising of a step-in shower cubicle with thermostatic shower, shaped spa bath, vanity wash hand basin and low flush WC. 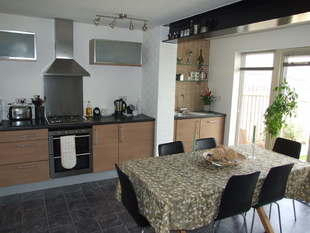 There is also a radiator, extractor fan and part ceramic tiled walls with full tiling to the floor. With single panel radiator, there is also a built-in airing cupboard which contains the gas fired combination boiler. 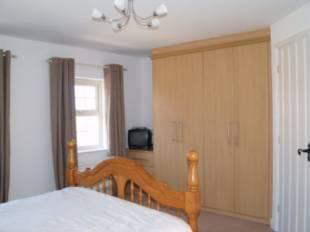 14' 8" x 13' 11" (4.47m x 4.24m) - This front facing principal bedroom provides a range of wood effect fronted wardrobes and drawers, there are also 2 radiators and a TV aerial point. Being fitted with a white suite comprising of a tiled shower cubicle with thermostatic shower, pedestal wash hand basin and low flush WC. 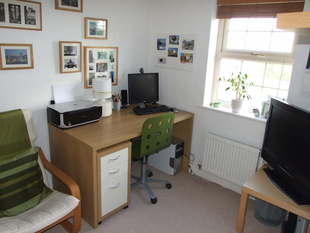 There is also a radiator and an extractor fan. 14' 10" x 8' 8" (4.52m x 2.64m) - This rear facing bedroom provides 2 single panel radiator and also 2 windows and could certainly be sub-divided if so required to provide 2 smaller bedrooms. 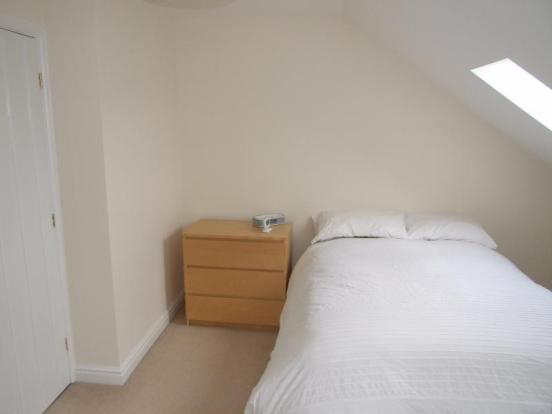 11' 8" x 11' 6" (3.56m x 3.51m) plus recess - With 2 Velux double glazed skylight windows, this bedroom also provides a radiator and enjoys the use of an en-suite shower room, making it ideal for an independant teenager or also use as a guest bedroom. 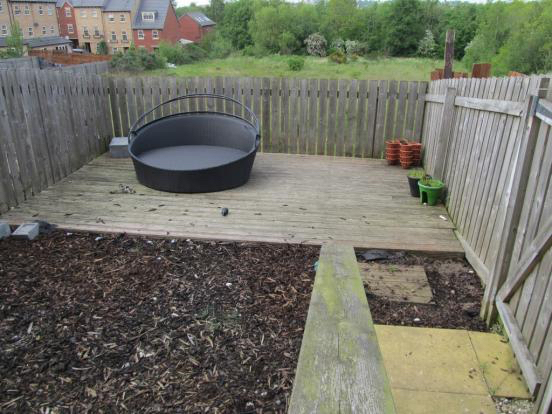 To the front is an open plan garden whilst a driveway provides parking facilities. A paved pathway to the left hand side gives access to the rear gardens where there is a paved sitting area with grassed garden at a lower level providing open views. 14' 6" x 8' 2" (4.42m x 2.49m) internal - An integral single garage having light and power supplies. All mains are laid to the property. A gas fired heating system is installed. 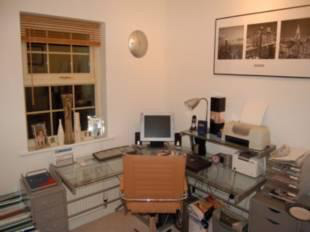 The property benefits from uPVC sealed unit double glazing. The vendor informs us that the tenure is Freehold. These details are you guidance onlly and form no part of any contract. 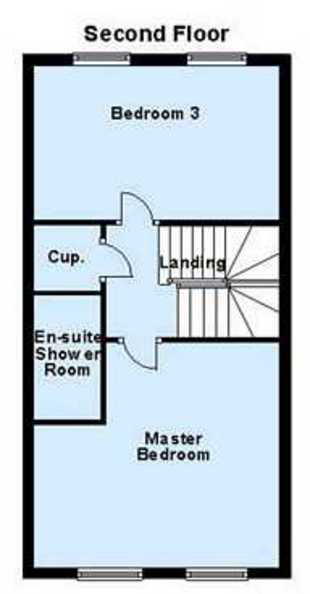 Any floorplans and or measurements are for guidance only and are approximate.